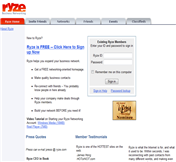 Blogging Websites allow users and businesses to create and manage their blogs (web logs). 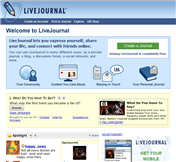 Web logs are (or blogs) are written by individuals to discuss specific topics or personal diaries for others to read and comment on. Blogs written by individuals are usual personal and topical diaries that allow them to publish content easily on the web. Each ""entry"" or addition to a blog is called a post. Businesses use blogs for the same purposes however instead of personal diaries and posts, businesses focus on things happening within the business and their products and services. Blog Websites provide various tools for blog publishers to use that allow them to easily create, monitor, and promote their blogs across the Internet. Some of these features include HTML mark-up (adding formatting and traditional HTML tags to posts), adding videos and pictures to posts, submitting posts to search engines and blog directories so other readers can possibly see your blog, traffic statistics tools to monitor traffic and the the number of subscribers to a blog feed, and many other tools. Ability to add media to your blog Adding media to your blog is becoming increasingly important as users start to prefer video and audio as opposed to text. Adding videos, pictures, and audio really enhance your blog and should be used (but not overused) when possible. Blog Directory Submission If you want people to be able to search for and read your blog, blog submission features are great ways to start. Look for services that offer multiple blog submissions to various blog directories and when users look for blogs in your category, your blog appears. Template Offering For those that do not have the knowledge of simply the time to create cool layouts and color schemes for blogs, templates are critical. Templates allow you to quickly create a great looking blog with no coding knowledge whatsoever. Template Customization Options Look for blogs that give you as much control as possible over the look and feel of the template. Being able to create your own style sheets and HTML for your blog is becoming the norm. 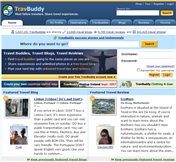 Best for Travelers TravBuddy.com is the best place for user-generated travel information. Users submit reviews of destinations, post pictures and blog of the travel experiences, and provide information that only those that have visited a specific destination can accurately share. 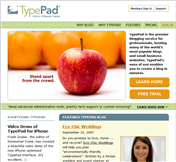 Predefined Templates Templates are pre-existing / pre-coded blog layouts that users can select to start their blog. 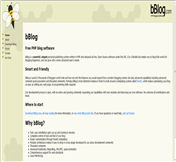 These templates are typically better for non-coders as they eliminate the need to modify any HTML code to start a blog. 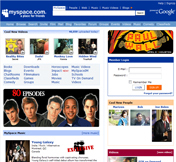 Templates come in a variety of layouts, colors, and themes. Editable Templates These templates are similar to pre-defined templates however they allow the user to edit the template and change whatever attributes they see fit. These templates are good for users who know a little about HTML code but don't want to create a blog from scratch. Plug-ins/ Widgets Plug-ins/widgets allow blog creators to add additional functionality to their blogs including weather, news from other sites, calendars, etc. Text Editor Allows the blog creator to edit the text of his/her blog just as they would an email. HTML Editor Similar to the text editor, an HTML editor allows the blog creator to edit their blog using HTML code. Spell Check Allows the blog creator to check their blog for misspellings and grammar issues before they post it. Blog Preview Allows the blog editor to see the entire blog entry and what it looks like before they post the blog. Insert Links Allows the blog editor to insert HTML links that go to other web pages. 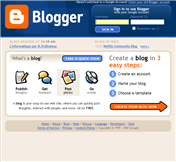 This helps the blog creator direct users to other sites or pages if needed. Insert Images Allows the blog editor to insert images into their blog entries. Insert Emoticons Allows the blog editor to insert emoticons into their blog entries. Emoticons are graphical depictions of various emotions to show blog readers different emotions/expressions (without using words) and to stress a point. Insert Symbols Allows the blog editor to insert symbols into their blog entries including circles, squares, Greek letters, etc..
Insert Mood Icons Allows the blog editor to insert mood icons, similar to emoticons, to convey a specific feeling or expression graphically instead of using words. Audio Files Accepted Allows the blog editor to insert audio files into blog entries for blog readers to listen to. 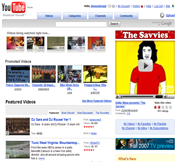 Video Files Accepted Allows the blog editor to insert video files into blog entries for blog readers to watch. Text Files Accepted Allows the blog editor to use text files for creating/editing blog entries and import these text files for posting. Image Files Accepted Allows the blog editor to insert picture files into blog entries for blog readers to see. 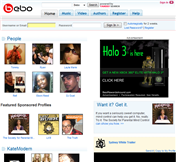 Post from IM Allows the blog editor to post blog entries using a number of instant messenger services including Yahoo! Instant Messenger, Windows Live, etc. Post from Cell phone/ Phone Allows the blog editor to post blog entries using their cell phone. Post from Outside the Service Allows the blog editor to post entries using third-party applications. Blogroll/Links Navigation Allows the blog editor to post his/her favorite links usually on a side navigation bar. 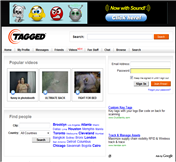 Search Box Available Allows users to search for content on a specific blog using keywords and phrases. Archive Links Available Allows the blog creator to link users to archived blog entries and post for reading. Profile/Bio Info Available Provides users with biographical information on the author (creator) of the blog. RSS Feeds Allows users to subscribe to your blog using RSS feeds (really simply syndication). RSS allows users to get all new blog posts without actually coming to your blog. Atom Feeds Atom Feeds are really similar to RSS feeds and allow users to get new blog entries automatically without coming to your blog. Traffic/Referrer Stats Provides the blog creator with various stats on their blog including comments, views of your blog pages, ratings or blogs, etc. Feed Stats Provide the blog creator with stats on how many people have requested an RSS or Atom feed to stay updated on new blog content. Comments Allow users to comment on blog entries. Views Provides the blog creator with stats on how many people have viewed your blog over a given period. 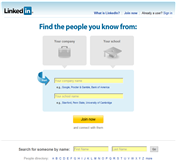 Permalink Allows users to have a permanent (non-changing) link to a blog so that can easily access the blog. Trackbacks Allows users comment on blog entries and refer to other blog entries through a trackback URL. Make a Blog Public Allows the blog creator to make his/her blog available to any user / public. Make a Blog Private Allows the blog creator to make his/her blog available to only certain users (in some cases no one but the creator). Protect a Blog (certain users see it) Allows the blog creator to make his/her blog available to only certain users (in some cases no one but the creator). Word/IP Banning Allows the blog creator to block certain IP addresses (users) from posting comments or to block certain words from being used in comments. 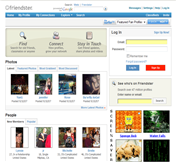 Photo Album/Gallery Allows the blog creator to easily create a photo album for blog readers to see. 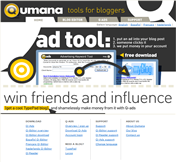 Google Ads/Affiliates Allows blog creators to generate commissions from Google by placing ads on their blogs and receiving a commission every time some sees and/or clicks on an advertisement. Supports Affiliations with Amazon Allows blog creators to generate commissions from Amazon by placing ads on their blogs for their favorite books/products and receiving a commission every time some buys an item from Amazon. Weblog Customer Support A blog (web log) that is created by the customer support staff that allows users to post entries and comments pertaining to site issues, problems, and questions about the service. Help Tickets/Email Form Support Allows users to email a website and get help on anything related to that website. Tutorials / How-to Support Tutorials / How-to help gives consumers walk-throughs and detailed instruction on how to do certain things on a particular website. These tutorials/how-tos can be in the form of videos, pictures, or plain text/editorial. 3/2/2009 12:00:00 AM How Will We Know When Micro-blogging Comes Of Age?